Essential Question:Why does Earth constantly change and how does that affect us? Learning Target:I can explain how crustal plates and ocean basins move and interact using heat flow to reflect forces within the Earth. 1. What is the theory of plate tectonic? ​ 2. What is Pangaea and how does it support the theory of plate tectonic? 3. 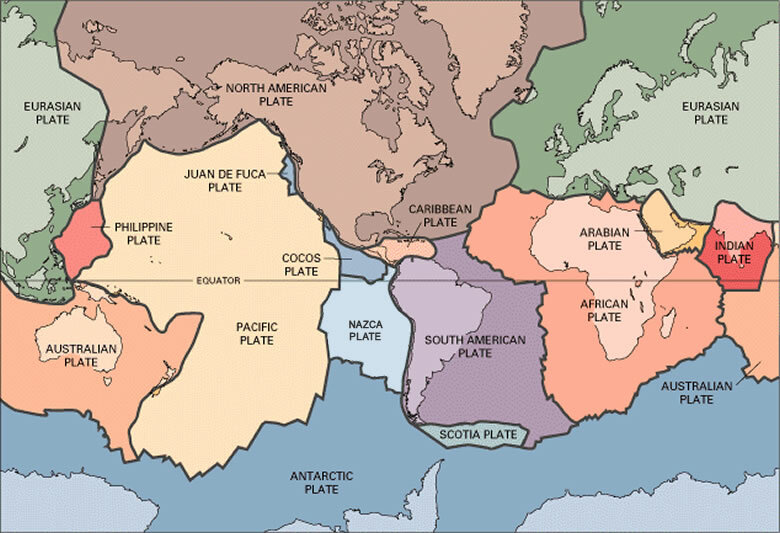 Where are tectonic plates, and how many major plates are there? ​ 4. The shifting of the continents is called ________. 5. What is the relationship between fossils and the theory of continental drift? 6. Describe boundaries and explain what occurs at them? 7.In the video Tim explain three types of boundaries. Name these boundaries and explain what happens at each. 8.What question do you have about the these theories? Warm up: Go over study guide for China Test. Essential Question: How do the people, events, and ideas that shaped ancient China continue to influence the world? Learning Target:I can identify key features that contributed to both the successes and difficulties that the Chinese people endured. Warm up:What is the theory of plate tectonic? Warm up: How can the Greek work tektonikos be used to explain the movement of tectonic plates? Learning Target: I can explain how crustal plate and ocean basins move and interact using heat flow to reflect forces within the Earth. Write a one sentence summary explaining what you have learned today. Warm up: Define the word government, what type of government do we have? ​Essential question:How does the need for order in society give rise to forms of government? Learning target: I can identify the major geographical features of Greece. Ticket out: List the major geographical features of Greece. Warm up: What is the relationship between plate tectonic and convection currents? Learning Target:I will compare and contrast the three types of boundaries. ​Create a concept map to compare and contrast the boundaries, please do this on the back of your handout. Warm up: What is a peninsula? Use many use this map to help you label your handout. Compare the handout with the map on page 229 in the text. Read pages 228-233 and construct an outline. ​ 1.What kinds of landforms are found in Greece? 2. How did the sea help shape early Greek society? 3. How might the difficulty of mountain travel have been a benefit to the Greeks? 4.What was the first major civilization to develop in Greece? 5. How were the Minoans and Mycenaeans similar? 6. What is a polis? 7. Why do you think the Greeks built their cities around a high acropolic? Ticket out: Write one descriptive sentence about the geography of Greece and one about city-states. Warm up: List the plate boundaries and explain the movement that occurs at each. Learning Target:I will exploring/model the movements and effects on three types of boundaries. Go over directions and lab handout. ​Warm up:How does the geography of Ancient Greece differ from other civilizations that we have studied? Essential question:How does the need for order in society give rise to forms of government? Read pages 230-233 and construct an outline. 1.What was the first major civilization to develop in Greece? 2. How were the Minoans and Mycenaeans similar? 3. What is a polis? 4. Why do you think the Greeks built their cities around a high acropolic?